Media asset management solution that helps optimize and automate complex workflows around playout, VoD, quality control, business intelligence, subscriptions, and more. Client: a key provider of infrastructure and content management services for satellite television and OTT, including top 100 TV broadcasters in the world. The client’s globe-spanning infrastructure with hubs in Northern America, Europe, and Asia allows them to offer top-tier content manipulation and delivery services to customers around the world. Routine content processing tasks include everything from transcoding raw media files into various formats to assuring quality and applying the necessary content regulations. The delivery pipeline ensures that every piece of content is broadcast or streamed strictly on schedule with appropriate dubbing and subtitles for the region. Before the client turned to Oxagile, most content tasks were coordinated via emails or calls, which increased the risk of human error, drove up costs, and created an overall lack of transparency. The company started looking into opportunities to optimize and eventually automate their media asset management (MAM) orchestration process. The new solution would allow the staff to precisely track all content events and create highly customized, clear-cut, automation-ready workflows for every client. The system would also be required to seamlessly access and manipulate high volumes of content stored in distributed data centers — without compromising performance or security. 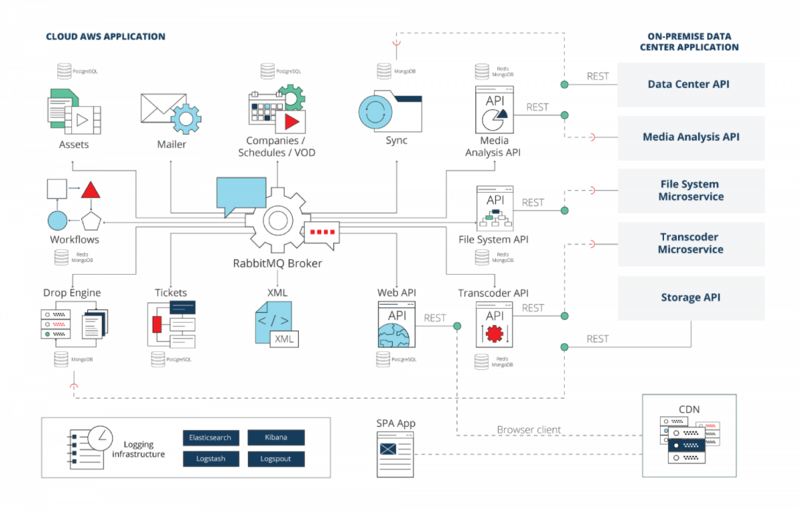 With online video being one of Oxagile’s core strengths, the team had years of shared hands-on experience in tackling media workflows. On top of that, key experts from the R&D unit spent a period of time on-premise to get optimal visibility into the client’s business and collect detailed requirements face-to-face. The client’s biggest concerns in the run-up to development were long-term value, flexibility, and reliability. Understanding this, Oxagile proposed building a full-cycle cloud MAM orchestration solution from the ground up — an approach that provided the client with a level of customizability and independence unmatched by third-party software. The requirements needed to be signed off on by geographically distributed key stakeholders, all of whom wanted the ability to closely monitor the project’s progress and costs. To address the challenge, Oxagile conducted a three-stage Scrum training for the stakeholders to familiarize them with agile principles and demonstrate the transparency and control Scrum gives them as a customer. Following an adapted Scrum model with a fixed price and a flexible scope, the project team was able to start off without a lengthy elaboration stage, build a low-risk development process, and effectively mitigate disparities in vision through active communication and seamless change request management. The client received a unique, feature-rich media asset management solution capable of adapting to the needs of multiple international offices and their customers. The system carries out three major functions: manual orchestration, automated orchestration, and customer self-service. Manual orchestration gives workflow managers the ability to easily set up and configure sophisticated custom workflows that support unique business needs of every end client, no matter how complex. The automated orchestration module integrates with the infrastructure of local data centers to quickly pull content metadata and statuses necessary for unsupervised execution of pre-designed workflows. The standardisation and optimisation of key tasks reflect in reduced service cycle times, while greater granularity and faster reporting help identify blockers in content workflows early. Dramatic time and effort savings immediately reflected in lower operational costs and improved user satisfaction. Essentially, thanks to introducing process automation the client attained a powerful advantage on the content management market. The customer portal is an easy-to-use front office that enables content owners to transparently track the progress of tasks performed on their content, while channel managers can prioritize more demanding tasks. The playout unit helps channel managers arrange seamless playout of the customers’ content. By utilizing this module, the staff members can easily monitor hundreds of TV schedules, track the status of every content component in them, and spot any potential schedule conflicts right away. The module provides rich filtering and searching capabilities. The VoD unit, built for the needs of non-linear media, enables the staff to follow the processing status of VoD content orders and manages related metadata. The module comprises powerful tools for ingesting and transcoding content, as well as carrying out compliance auditing and content QC (quality control). While the entire volume of the customers’ media content is physically located in the client’s media hubs around the world, the media assets unit stores up-to-date information about every piece of content in the cloud. This arrangement allows content workflows to run faster and cuts operational and storage costs. The workflows module allows creating custom content processes, scheduling recurrent and one-time runs, viewing workflow history, and tracking the execution of every workflow directly in the interface. A unique workflow builder provides flexible visual tools and a rich library of pre-programmed human and automated tasks. Workflow engineers can also make use of variables and sub-workflows — a step that allows them to quickly repurpose workflows for a different customer with minimal changes. The companies module is used by account managers to group custom content workflows into personalized subscriptions and precisely track the services provided to each customer. With the new advanced ticket system, the client’s employees don’t have to lose time coordinating content processes via calls or emails. The status of any manual or automated task can be tracked from the dashboard and updated in the cloud, instantly available to stakeholders across various departments. All modules are integrated with a central MAM orchestration engine that triggers and monitors every task performed with digital media, from ingestion to processing to playout. Architecturally, the solution comprises event-driven microservices that each cover a certain type of task and communicate via a message bus. The cloud service is built with ASP.NET Core 2.1 and runs on Amazon ECS. The system incorporates enterprise-level logging infrastructure with a graphical Interface, full-text search, analytics, etc. The system integrates with the client’s data centers on several continents and can be seamlessly scaled on-demand by adding new instances to the cluster. The solution is also highly available due to distribution across Amazon’s multiple availability zones. The cloud system leverages two types of persistence store: PostgreSQL and MongoDB, with Redis used for caching. The persistence layer transparently scales across instances and utilizes advanced master-slave replication for data synchronization. As the system deals with a high volume of valuable content, the client was understandably fastidious about ensuring secure transfer and storage. Claim-based authorization for public APIs. Given the project’s complex business logic and a large number of integrations, Oxagile’s team pushed for introducing robust test automation early on for a superior level of quality, faster time-to-market, and lower costs. At this stage of the project, practically all components are subjected to automated testing underpinned by Oxagile’s custom Java-based framework. The dedicated AQA team works alongside manual QA experts to write and execute test cases for functional and GUI testing. 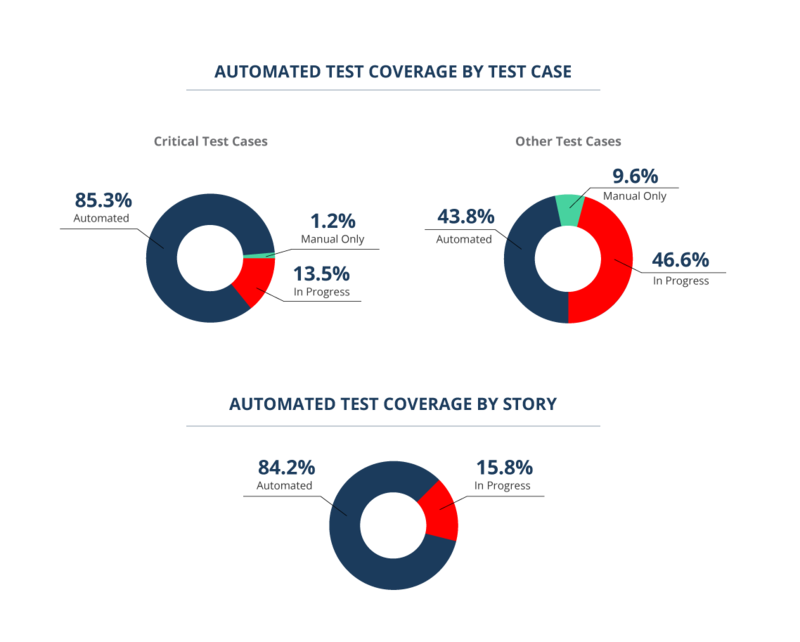 Automation coverage has reached over 80% for the manual orchestration module and over 65% for the automated orchestration module, with new tests being added regularly. Since the solution went live, it enabled the client to cut operational overhead, increase task execution efficiency by almost 48.5%, improve quality of service, enhance communication between distributed units, and increase customer acquisition and retention. Oxagile navigated the project with the client’s in-house developers, communicating daily via calls and emails and working onsite for the key stages. As a result of close cooperation and knowledge sharing, the client’s team acquired new experience with setting up a predictable Scrum process and rigorous quality control procedures. The merits of the adapted Scrum model became evident during the scope expansion period initiated by the stakeholders. Oxagile effectively managed the risks related to adding and enhancing functionality, and implemented the client’s vision for the product strictly within budget. The joint team successfully met a crucial deadline: stage one was completed in time for a large broadcasting industry event, allowing the client to showcase a competitive MAM toolset and increase the appeal of the service for potential customers. The project continues with the main emphasis on driving efficiency and optimizing business processes through the use of a single MAM orchestration system in all units. The configurable nature of the orchestration system acts as a platform to build on, giving the client an opportunity to focus on developing new markets such as large telecommunications companies. Potential future projects in discussion include a VoD content packaging solution, a VoD white-label platform, and further refinements to the main workflow orchestration system based on machine learning technology.